Drinking boiled water is the best way to stay safe from water-borne infections. Also, avoid drinking water in public places and restaurants. Try carrying a flask with you so you can feel warm and nurtured wherever you are. Ginger is a highly anti-inflammatory spice that’s also soothing for the gut. 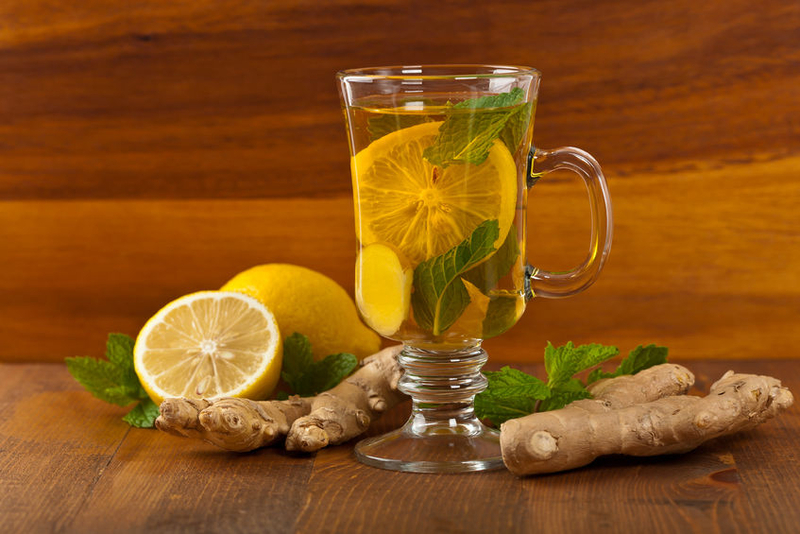 A cup of hot ginger tea can help you get relief from the symptoms of common cold and diarrhoea– two of the biggest health risks of monsoon. When water seeps through your footwear, the skin absorbs the water. The longer your feet are wet, the greater are the chances of fungal infection. Vitamin C has an anti-histamine effect and is also anti-inflammatory. Vitamin C-rich foods like strawberries, bell peppers, orange, and kiwi can shorten the duration of colds and flu. Make sure you change your wet clothes immediately when you reach home. Wet clothes can alter your body temperature and increase the risk of high fever. Street food items increase the risk of food poisoning and indigestion. Garlic contains antiseptic, antibacterial and antispasmodic properties besides several other medicinal virtues. The volatile oil and sulphur compounds in garlic flush out toxins and help the body fight cold, fever, and flu. Your body temperature drops when you get drenched in the rains. Taking a hot shower is the best way to normalise your body temperature and get rid of germs. Wash your hands, especially prior to starting your meals, with an antiseptic soap to clean bacteria and other germs. It is an effective decongestant and expectorant which reduces phlegm. Also, it’s a potent immune modulator especially for children. The cough syrup does not contain any added steroids, sedatives or alcohol and is free from side effects. Our Ayurvedic products testify to the time-proven healing power of Ayurveda. We prepare our Ayurvedic products through a careful selection of natural ingredients. Our Ayurvedic products are free from side effects. Explore our online Ayurvedic store at http://www.pankajakasthuri.in.